99% of the world’s maternal deaths occur in developing countries. This is the world’s greatest social injustice. Each year, hundreds of thousands of women die from pregnancy and birth-related causes. 99% of these births happen in impoverished countries. Over 60 million additional women survive birth only to suffer lifelong disability from birth injuries such as fistula and prolapsed uterus. Clearly, birth is not the underlying cause killing and injuring these women, but rather the structural conditions of poverty--including disparities in the provision of health services. Unfortunately, what should be an easy problem to solve has proven the most stubborn health crisis in the world. 70 years of international humanitarian interventions have not significantly reduced the maternal mortality ratio for impoverished countries. In 2000, the United Nations outlined a series of goals for eradicating extreme poverty in the world. Millennium Development Goal #5 aimed to reduce maternal mortality by two thirds. This goal is now faring worst of all and no help is in sight. Every 60 seconds, a woman dies giving birth. We plan to change that reality. 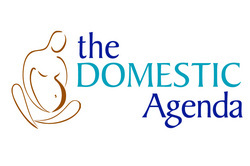 The Domestic Agenda is a nonprofit organization, dedicated to the health and survival of mothers around the world. There are many options available and we welcome any contribution you can make to our organization. We look forward to hearing from you!